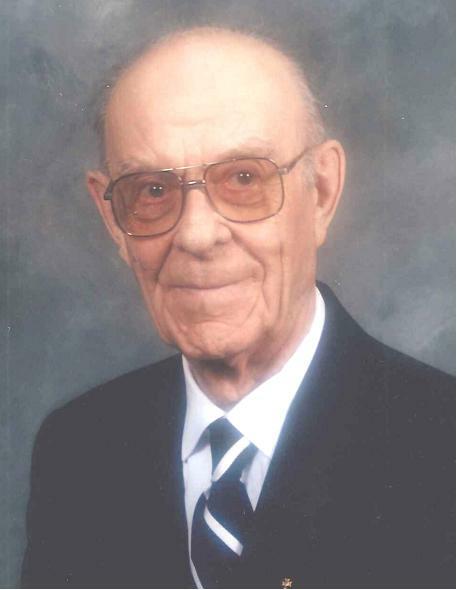 Following a long and fruitful life, Ray Fradette died peacefully on Sunday, August 26, 2018 at the Radville Marian Health Centre, at the age of 101 years. Raymond was predeceased by his parents: Albert and Antonia Fradette; his first wife Hélène; sisters: infant Maria, Theresa (Henry) Bourassa, Dora (Ed) Petit, Marguerite (Joseph) Deshors; brothers: Ephrem (Angela), Ed (Elsie); brothers-in-law Etienne Bourassa and Alvin Van de Sype; daughter-in-law Linda Fradette; and stepson Gordon Aspen. Raymond is survived by his wife, of 50 years, Beatrice; his children: Lorette (Nick) Penn,100 Mile House, BC, Claudia (Garry) Shury, Yorkton, SK, Julien, Winnipeg, MB; stepdaughterViola (Gordon) Schmidt, Regina, SK; his brother Peter (Cecile); sisters: Anna Bourassa,Jeannine Van de Sype, Marie (John) Marecki; his grandchildren: Larry (Leslie), Helen (Rick), Laureen (Dennis), Maureen (Len), Brian (Andy), Todd (Wendy), Jean-Paul (Marcy), Katherine (Patrick); step grandchildren: Grant (Monique) and Ryan (Jaime); along with numerous greatgrandchildren and many nieces and nephews. He married Hélène Bourassa on September 7, 1937 at St. Colette Parish. They lived near the Fradette homestead. Things changed when Hélène passed away in January 1949. He moved to Radville where family and relatives helped with the children. He married Beatrice Aspen on June 1, 1968. They lived in their own home for many years. The Heritage Home then became their home for several years until they moved to Radville Marian Health Centre in 2014. Ray farmed his own land and spent many years custom combining. He farmed until he retired in 1974. Many times the family got together in Radville for special anniversaries or birthday celebrations. A big party was held for their 95th birthdays. There were 5 generations there (Ray, Lorette Penn, Helen Takagi, Stephanie Lawton, Molly Lawton) and many pictures were taken. Ray was happy when the family got together. He always wanted to know how everyone was doing. Ray was able to celebrate his 100th birthday in June, 2017 and his 101st birthday in 2018. He was active in the community and in the Holy Family Catholic Church. He held a number of offices in the Knights of Columbus and was a 4th Degree Knight. He worked closely with the Parish, particularly as the Sacristan in his later years, preparing for many of the liturgies at the Church. He served, for a time, as Director of the Radville Credit Union. He loved curling, whether it was at the local level or competing in the Provincial Men's Play Downs or watching the Scotties or the Brier. Ray will be remembered for his kindness and his gentleness. He will be missed. Direct cremation has taken place. A private Mass will be said at this time. A Mass of Christian Burial for Ray and Bea was held Saturday, October 20, 2018 at 11:00 a.m. from Holy Family Parish Roman Catholic Church, Radville, SK with Fr. Thuy Nguyen celebrant. Interment followed at Laurier Cemetery, Radville, SK with a luncheon following at Holy Family Parish Roman Catholic Church. Special thanks are offered to all the staff at the Radville Marian Health Centre for the exceptional care offered over the years. Thank you, as well, to Fr. Thuy Nguyen for his visits and his support. In lieu of flowers, family and friends so wishing, charitable donations in memory of Ray and Bea may be made to the Radville Health Care Auxiliary, Box 424, Radville, SK, S0G ~ 2G0 or the Radville Marian Health Centre, Box 310, Radville, SK, S0C ~ 2G0 or the Holy Family Parish Catholic Church, P.O. Box 309, Radville, SK, S0C ~ 2G0.